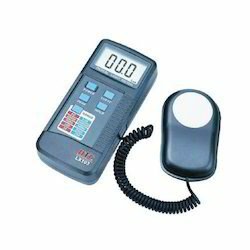 Bright Medi-Weld Appliances excels in rendering a qualitative range of Light Meter, which is offered to the clients at leading market prices. The Tools are highly appreciated by Construction Engineers, Professionals, Students, Researchers, Govt.Agencies etc. Sensor used the exclusive photo diode & multi-colour correction filters, spectrum meet C. I. E. standard. Sensor COS correction factor meet standard. 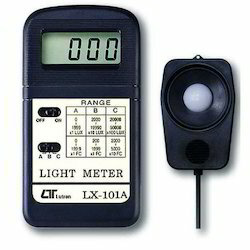 Separate LIGHT SENSOR allows user take measurements of an optimum position. Precise and easy readout, wide range. LCD display provides low power consumption. Compact, light-weight, and excellent operation. LCD display can clearly read out even of high ambient light. Sensor used the exclusive photo diode & color correction filter, spectrum meet C. I. E. photopic. 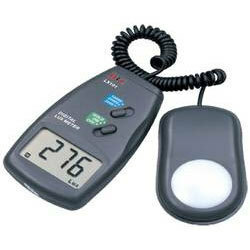 Professional, high quality UV meter. 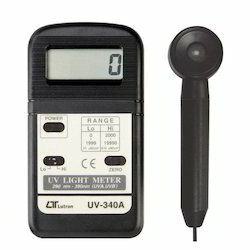 Ultra-violet irradiation measurement for UVA & UVB. 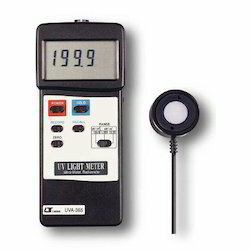 UV detector spectrum from 290 nm to 390 nm. Hi, Lo measurement range. 19990 and 1999 uW/cm^2. 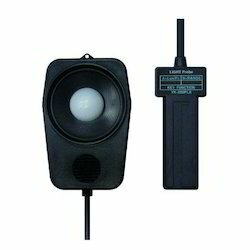 Sensor with cosine correction filter. Microprocessor circuit provides high reliability and durability. Heavy duty & compact housing case. Monitoring blue light radiation hazards in welding. Curing of inks, adhesives and coatings. Sensor used the exclusive photo diode & color correction filter, spectrum meet C.I.E.photopic. Sensor cosine correction factor meet standard. 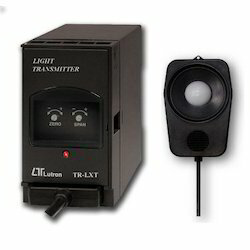 Separate LIGHT SENSOR allows user to measure the light at an optimum position. 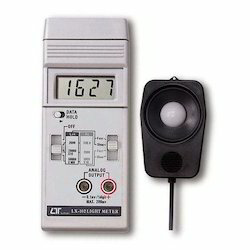 LCD display allows clear readout-out even at high ambient light level. Light sensor used the exclusive photo diode & color correction filter, spectrum meet C.I.E. standard. 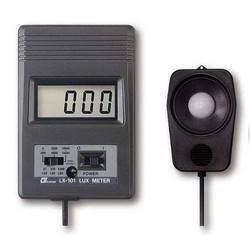 Wide range measurement both for Lux & Foot Candle units. Four lighting type selection, Tungsten, Fluorescent, Sodium or Mercury light source. Zero adjustment by push button. Heavy duty & compact case. Records Maximum, Minimum and Average readings. Large LCD display with bargraph and indicator. Use the rubber key for the function select. Memory function to display the max. & min display value with Recall. Auto power auto off or manual power off. Compact size and excellent operation. RS-232 computer serial data output. Sensor used the exclusive photo diode & color correction filter, spectrum meet C.I.E. photopic. Lux & Foot-candle unit selection. 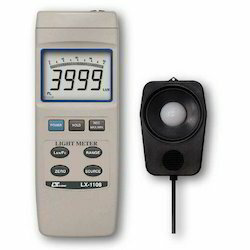 Long wave 365 nm ultra-violet irradiance measurement. 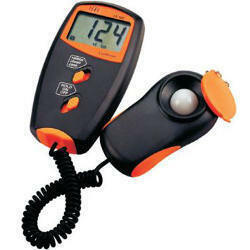 Professional, high quality UVA meter. 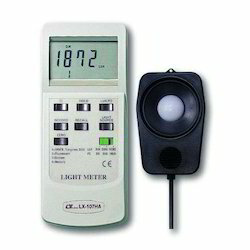 Wide measurement range: 199.9 uW/cm^2, 1.999 mW/cm^2 and 19.99 mW/cm^2. Microprocessor circuit assures maximum possible accuracy, provided special functions and features. Super large LCD display, easy readout. Short wave 254 nm ultra-violet irradiance measurement. 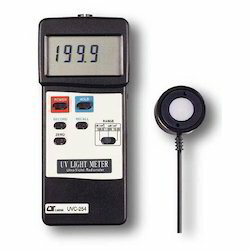 Professional, high quality UVC meter. 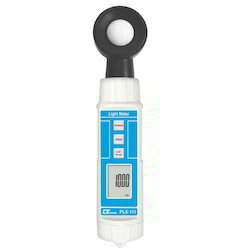 Exclusive UVC sensor with correction filter. 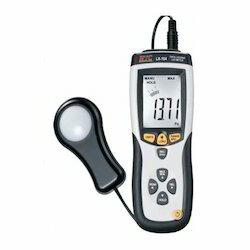 Wide measuring range, 0 to 20,000 Lux. Lux & Foot-candle ( Ft-cd ) unit selection. High resolution : 1 Lux, 0.1 Ft-cd. All in one, meter build in the light sensor, easy operation. Data hold, to freeze the desired reading value. Light sensor protection cover is the standard accessory. 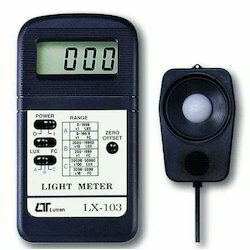 Separate Light Sensor allows user's measurement at an optimum position. Microprocessor circuit assures high accuracy performance available. 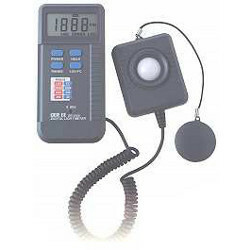 Records Maximum and Minimum readings with RECALL facilities. Auto shut off prolongs battery life. Sensor used the exclusive photo diode & color correction filter. 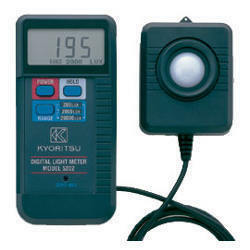 Digital light meter with separate light receiving sensor and meter. 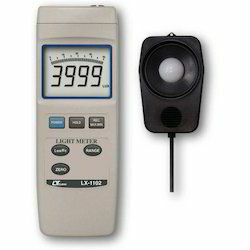 Looking for Light Meter ?